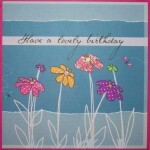 A vibrant birthday card with bright spotty flowers. 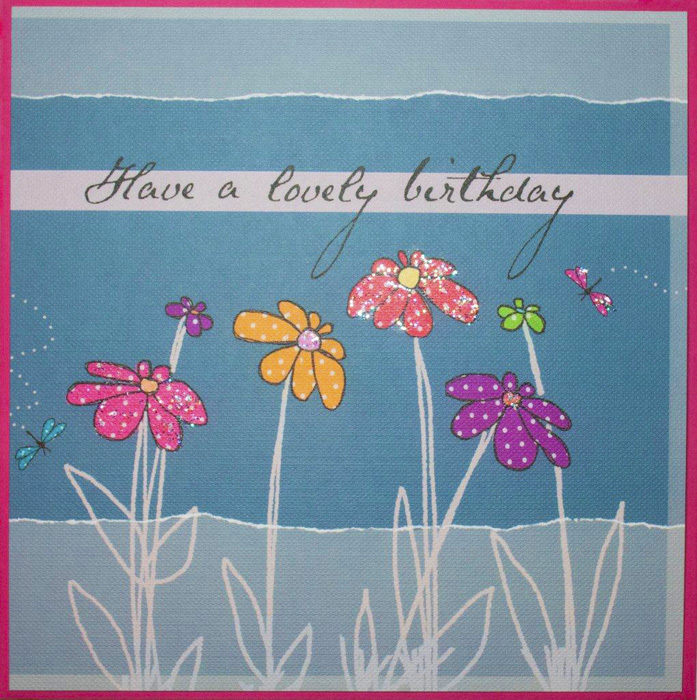 Modern grey background and glittery finish. 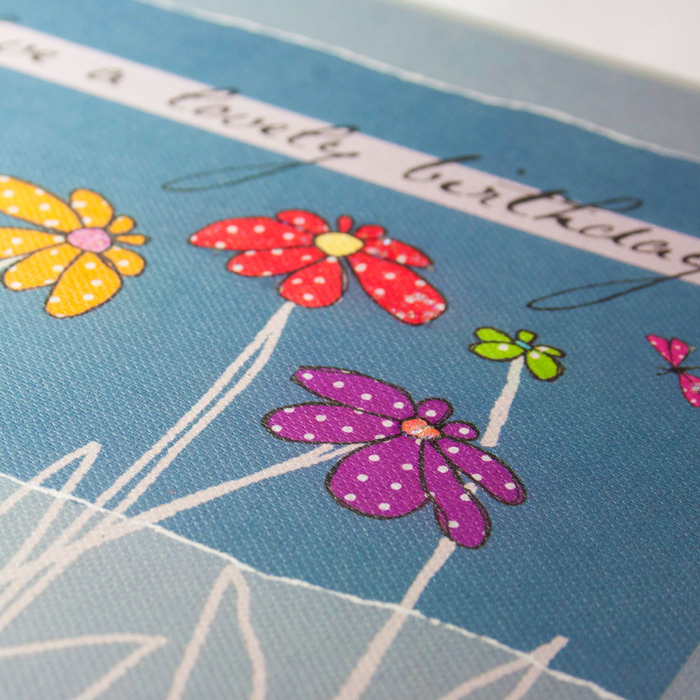 Vibrant contemporary colours on buckram embossed, very thick board (350gsm) Subtly enhanced with glitter and bright fuchsia or purple envelopes.